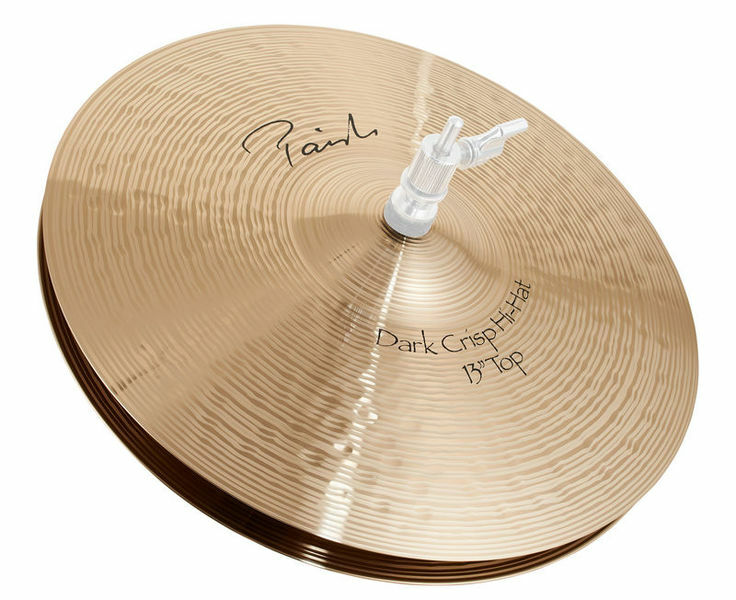 13" Dark crisp hi-hatOn the way to the optimal cymbal sound, a special Paiste sound alloy made of patented bronze was developed for the Signature series. The results are instruments that have gained increasing recognition since their introduction in 1989 and have since proven themselves in both studio and live performances. The sound has a high expressiveness and can be described with filigree, transparent, musical, emotional and colourful. 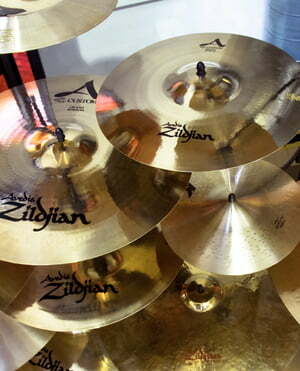 My ideal hi-hat. It gives you what you give it. When you play gentle it will be crisp and delicate, when you hit it hard, it cuts right through and can get very loud. Feels very sturdy and if you treat it right I don't think it will ever break. I just looked at (and listened to) this hi-hat because I was more than overwhelmed by the bombastic hi-hat sound on the last The Police Live DVD. My research showed that Mr. Copeland enjoyed this hihat on this tour. I have the Hihat very often in live use. I play in different bands, mostly I use them in the context of pop and rock music. Also for the cover area I can recommend the part. I think a hihat should not sound too loud when played openly. Especially in the field of rock music, I often come across live that you suddenly hear only the hi-hat and the snare with "swallowed" is. Of course, half of that depends on the ability of the drummer, how loud the hi-hat comes. But in my opinion the other half depends on which hihat one plays. The crisp in the name can really be taken literally. Closed, it sounds fantastic, very easy to control and not too loud, but still dominant in harder playing. I was also convinced by the sound in open play. Especially when the hihat is not fully open but only a certain height comes out for me the optimal sound carpet, which I would call "push". My full recommendation for the pop-rock funk area. Not just for Copeland fanatics. Closed, this sounds just awesome. ID: 141220 © 1996–2019 Thomann GmbH Thomann loves you, because you rock!